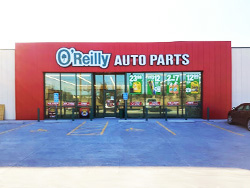 The majority of our growth involves new construction of freestanding stores on real estate we own. However, we also consider build-to-suit, ground lease or building lease options. Typically we require 30,000 to 35,000 square feet of land for one of our freestanding prototypes. Land parcels for new construction must accommodate between 30 to 40 parking spaces. 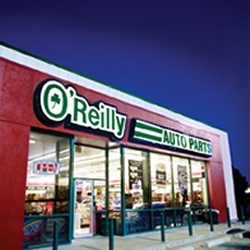 Our stores typically range from 6,800 to 7,225 square feet in floor area. 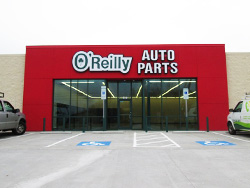 A minimum of 60 feet of frontage for existing buildings. 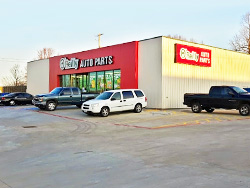 Lease spaces must include plenty of non-congested, customer friendly parking spaces and prominent pole signage. 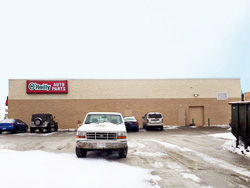 Shopping center preferences are an end cap or pad site. We require high-impact locations with excellent visibility and easy access from adjacent streets. Once you have reviewed all of the information on this page, consult the Contact Map for the appropriate address in order to print and submit our Property Submittal Form. A close-up view of the store front. 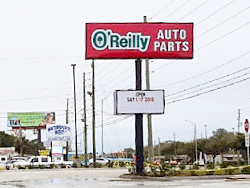 The O'Reilly monument sign that appears in front of the store. For property specific questions, see the Contact Map to contact the appropriate area representative. Frontage shot from a different viewpoint. 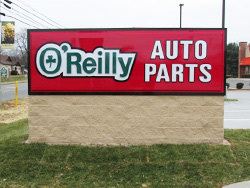 The O'Reilly sign and reader board that appears in front of the store. Optional signage for high traffic corner lots.